The world’s largest supplier of gas turbines for the offshore market chose Amershield as its finish coat more than twenty-five years ago for its environmental compliance, durability, chemical resistance and abrasion resistance. Today with more than 100 million square feet of successful applications and proven performance, Amershield Polyurethane is still the choice of finish for this major supplier to the offshore gas turbine market. Amershield is a gloss, high-build, abrasion and chemical resistant topcoat that can be applied over primed steel and primed concrete substrates. Amershield is an aliphatic polyurethane with a unique acrylic and polyester back bone that provides superior performance in abusive environments when compared to single back bone industrial aliphatic polyurethanes. 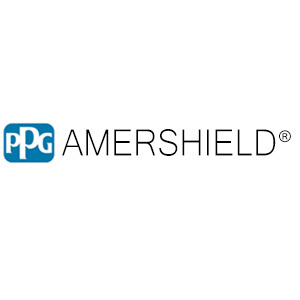 PPG Protective and Marine Coatings‘ Amershield is available in two VOC compliant formulas that cover all of California’s air quality requirements, standard Amershield can be applied in areas with a regulatory VOC of 270 grams per liter and greater while Amershield VOC can be applied in areas with a regulatory restrictions of less than 100 grams per liter (California Architectural CARB Rule/SCAQMD Rule 1113 Industrial Maintenance Coatings, SDAPCD Rule 67.0). Amershield is VOC compliant for shop application in California. Amershield VOC at less than 100 grams per liter meets the industrial maintenance coating field application regulations for all of California. For shop application, Amershield can be thinned with Amercoat 911 thinner for OEM customers that are meeting HAPS requirements. These customers usually thin no more than 15 ounces per gallon. For shop application, Amershield can be thinned with Amercoat 923 thinner with up to 15 ounces per gallon in most shops in California. PPG 97-739 EPA exempt thinner is a premium thinner that will optimize flow characteristics of Amershield and Amershield VOC without adding regulated VOC content to the coating during application. PPG 97-739 is highly effective as a thinner and thus coatings may require less of this thinner than other recommended thinners. Amercoat 851 reduces the surface tension of polyurethanes. Amercoat 851 can be helpful when roller and brush applying polyurethanes. Amershield and Amershield VOC can be accelerated with Amercoat 866M to enhance dry to touch and dry through times. Amercoat 866M and should be used judiciously with no more that 1.5 ounces per gallon. The world’s largest supplier of gas turbines for the offshore market chose Amershield as its finish coat more than twenty-five years ago for its environmental compliance, durability, chemical resistance and abrasion resistance.